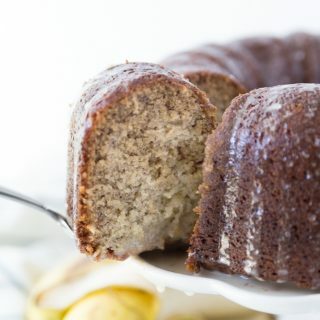 If you’ve ever wondered how to make banana cake at home, this easy banana cake recipe with vanilla glaze is perfection! If you’ve never had banana cake before it is basically like banana bread, in cake form, with frosting. AKA: Heaven. This banana cake with sour cream is moist and delicious and I can guarantee you’ll never go looking for another banana cake recipe! One of my favorite comfort foods, and you can serve it as dessert or eat it for breakfast! Don’t we all love desserts that double as breakfasts? Doughnuts, coffee cake, muffins… enough said. One of the best things about this easy banana cake is that it gets even better with time. So, if you can manage to save any, you can wrap it up and eat it for days and it will taste just as delicious as it did on the first day. 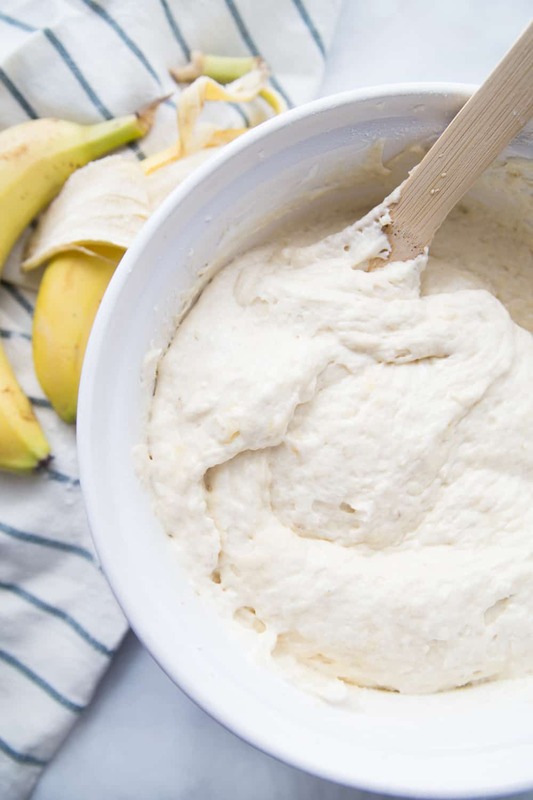 You ready for this life changing banana recipe?! Absolutely delicious banana cake with vanilla glaze! Perfect for a special breakfast or dessert! 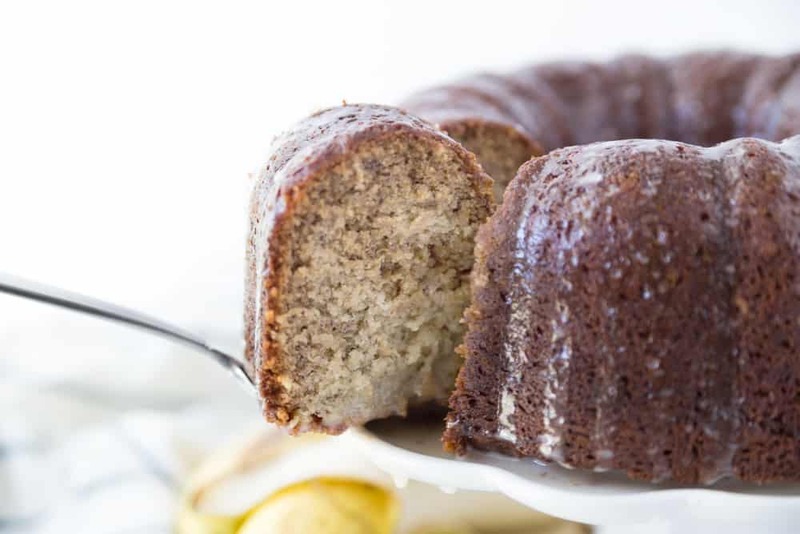 Preheat your oven to 350 degrees and generously butter your bundt pan. In a large bowl, beat your butter until creamy. Add sugar and beat until fluffy, then add in your vanilla. Add eggs one at a time, beating after each addition. Dump in your bananas and mix slowly until combined. Add dry ingredients a little at a time until incorporated. Add Greek yogurt and mix until combined. Tap your pan on the counter a few times to help the batter settle. Bake for 65-75 minutes, or until a fork inserted in the center of the cake comes out clean. If cake begins to brown to quickly cover halfway through with a loose foil tent. When cake is done, transfer to a cooling rack. 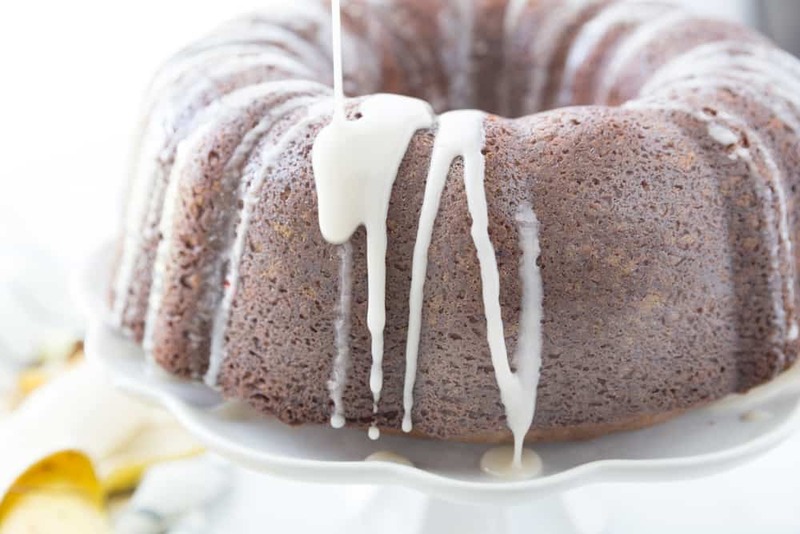 Whisk together powdered sugar, vanilla and milk, adding milk a little at a time until glaze is thin enough to drizzle on cooled cake. 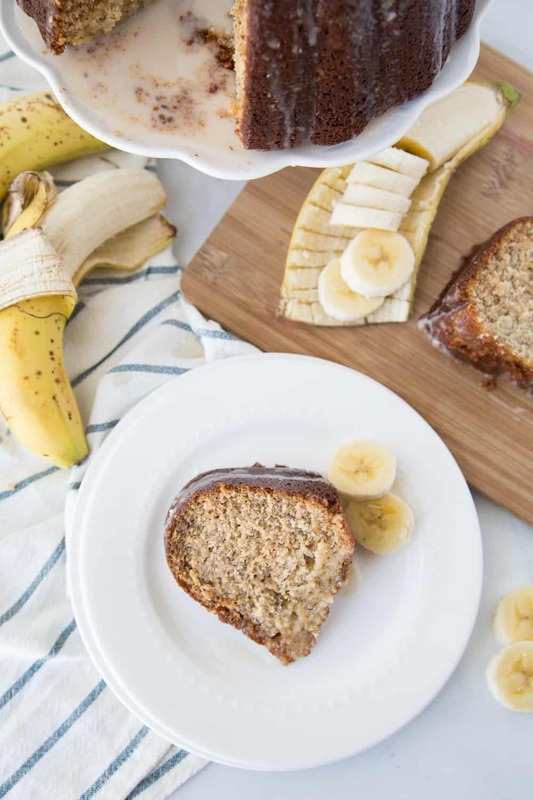 What is the difference between banana cake and banana bread? The answer is they are very similar! 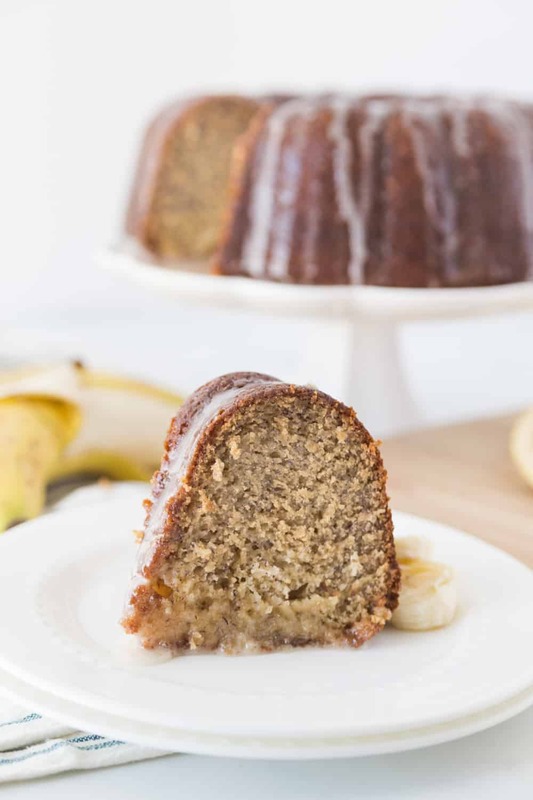 My banana cake is made with sour cream which takes the flavor and consistency to the next level. Also, when I make banana cake I typically add a glaze or frosting that banana bread doesn’t have. Also, banana cake makes a lot more! We prefer making banana cake in our house. Can you freeze banana cake? Yes! But it needs to be frozen before topping with the glaze. Just wrap your cake tightly in saran wrap once it is fully cooled and it will save in the freezer for up to three months. How long does banana cake last? This banana cake will keep up to a week and does not need to be refrigerated, but can be if that is what you prefer! Also, how about a few pictures of the process, just for fun? Or, if you want even more detail refer to the step by step banana cake video in the recipe card of this post! My mouth is watering just thinking about this easy banana cake made with sour cream! Later guys! I’m off to buy some bananas ;). If you like this recipe you will love the world’s best breakfast casserole or our chocolate peanut butter power smoothie! 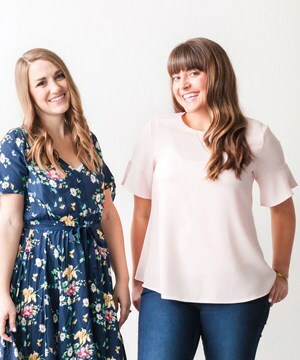 This recipe was originally published in November of 2015 and has been updated in 2019. Oh my goodness those substitutions sound amazing! Thank you so much for sharing! Thanks again for sharing, my husband will love these too! YAY! So glad to hear this! Thanks so much! I am surprising my banana loving kids with this gorgeous cake! I love it! Oh YAY! I hope they love it!!! I love banana cake! This won’t last long in my house. Yum, soft, & so delicious!! The glaze is a nice little bonus, to something that already tastes so good! My kids devoured this recipe! It was a hit! Thank you! Yay! I’m so glad! Thanks for letting us know! Yum! This cake is amazing! This looks so good! My husband doesn’t love cakes, but loves Banana Bread/Bars! I’m totally going to make this for him for is bday! Thanks! I don’t love cakes either and I love this one! I hope it’s a success for you! Made this yesterday, just made a browned butter icing instead. Delicious cake! Yummmmmm!!! That would be delicious too! So glad you liked it! I made this cake last night as i had a heap of ripe frozen bananas in the freezer. I took the cake to work and it was such a hit everyone was raving about how moist and delicious it was. Will make again for sure. 5 star recipie! Yum! Do I store this in the fridge or on the counter? On the fridge long term, but the counter is fine for a few hours!